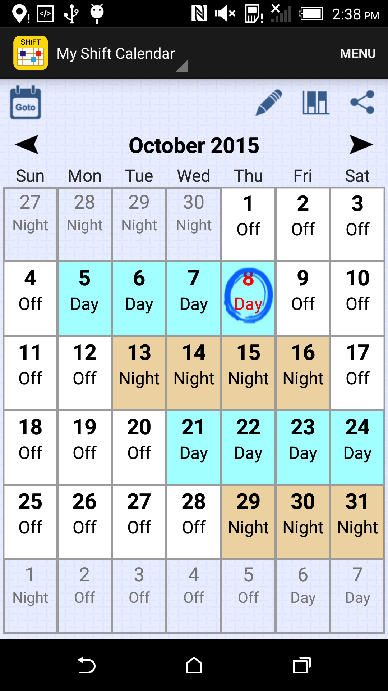 Assume that you have a 16-days pattern from Oct. 5 ~ Oct.20. 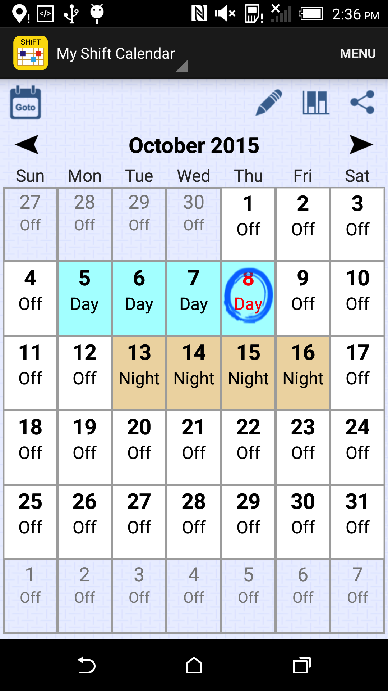 Edit your shifts from Oct. 5 ~ Oct.20. Go Menu -> Shift Pattern. Set the Start date and the End date of the pattern. The 'Auto Repeat' checkbox should be checked. 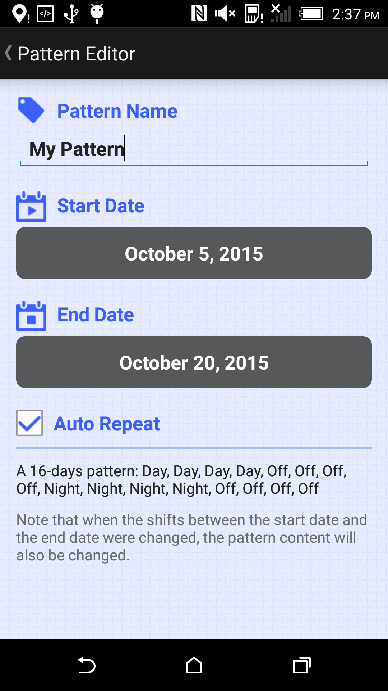 Return the main page and you will find the pattern is repeated automatically.